Why me? is touted as one of the "most compelling" films on the subject of the Stolen Generations. The film tells the stories of five stolen children who as adults are trying to get on with their lives. Powerful re-enactments of key moments from the 1950s and 60s establish an emotional link to the journey of the children. It becomes clear what cost Aboriginal people paid for a government policy of forced removal. As much as Why me? documents the pain and suffering of being an outsider wherever you are, it also shows how these people struggle to find a direction in their lives, their courage and hope. 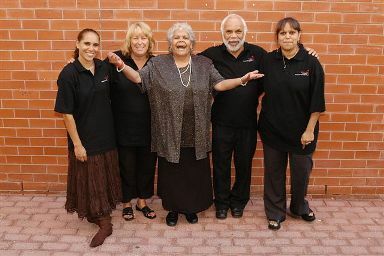 But it is also a documentary about the work of Link-Up, an organisation dedicated to bringing together members of the Stolen Generations with their parents, siblings and relatives. Sid Graham, Doris Kartinyeri, Lyn Jones, Brenda Rogerson and Evelyn Rogerson act their own stories in Why me?.